ThomasLloyd applies an in-house developed structured approach to sourcing, analysing, acquiring, managing and selling infrastructure assets, the ThomasLloyd Investment Process (TIP). Thereby we take a responsible, long-term view to build sustainable value throughout the investment cycle by investing forward-looking, managing with discipline and exiting at the right time. TIP is based on a sophisticated due diligence process that measures risk while identifying the catalysts for increased value. To set our eligible investment universe, we identify those countries with the greatest investment potential in the prevailing market environment and define the infrastructure sectors and technologies likely to offer higher value relative to other segments. 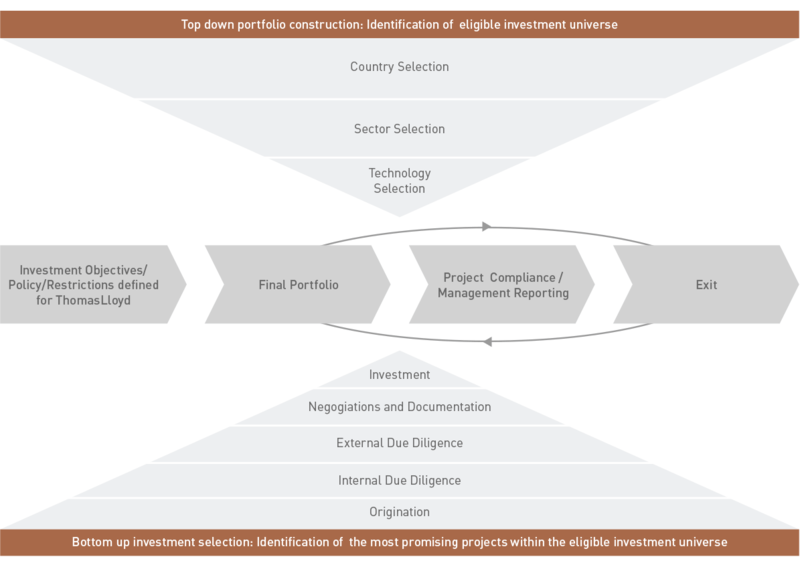 This top-down portfolio construction identifying the most attractive investment areas in Asia´s infrastructure markets, combined with our bottom-up investment selection to identify the most promising projects within the eligible investment universe, has resulted in strong outperformance over the past years. Our investment professionals screen several hundred investment opportunities every year. Due to our rigorous selection process we invest only in a small fraction of this overall deal flow. As a result of this our investors benefit from the highest quality investments with the best value creation potential available. At the end of the day, the success of our business is about hard work and a detailed, rigorous process behind our decision making.